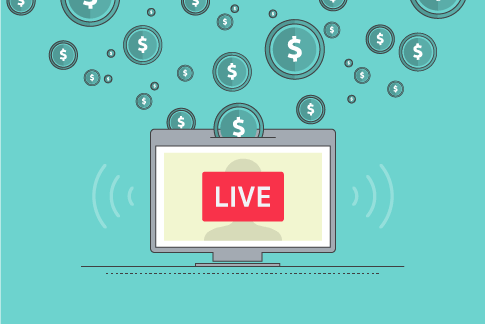 In this tutorial we’ll explore how you can affordably produce live streams from multiple video and presentation sources using a new product bundle that combines Telestream Wirecast Studio and two Epiphan AVi.io HD frame grabbers. 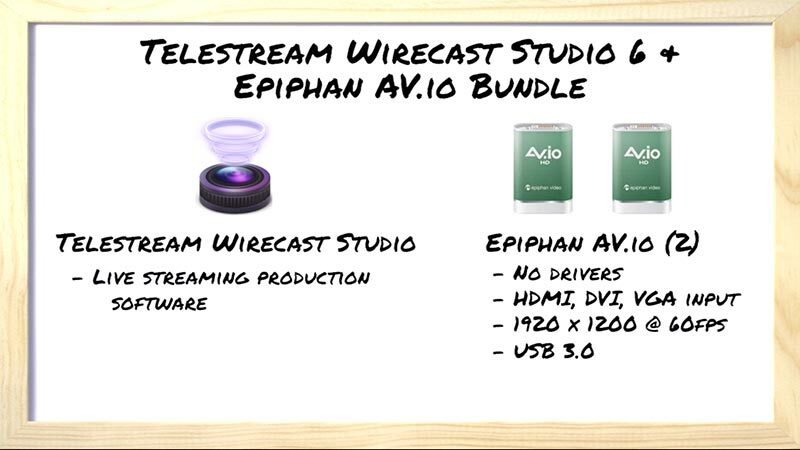 The Wirecast/AV.io HD bundle includes Wirecast 6.0, which is Telestream’s live streaming production software, and two Epiphan video grabbers that install without drivers and can capture HDMI, DVI and VGA input at up to 1920×1200 resolution at 60 fps via any USB 3.0 connector (Figure 1, below). The bundle quickly, easily, and affordably converts any Windows or Mac notebook or desktop computer with USB 3.0 connectors into a live production station. Let’s start with the software. 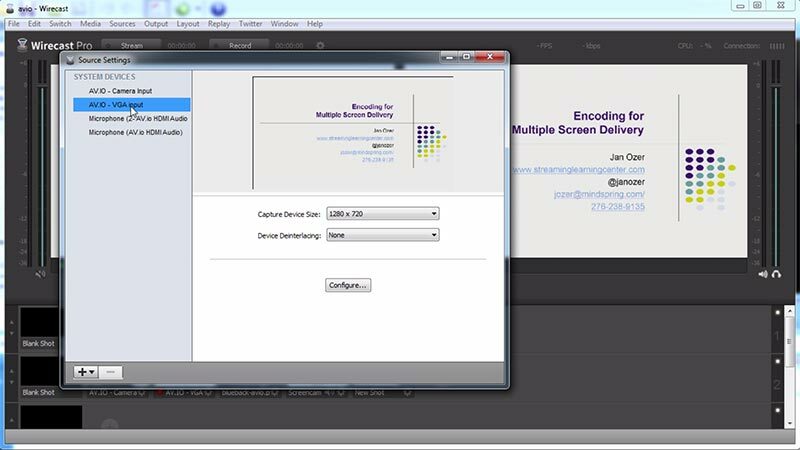 As you probably know, Wirecast, which runs on Mac and Windows, enables capture, live production, and encoding of live streams for broadcast to multiple servers simultaneously (Figure 2, below). 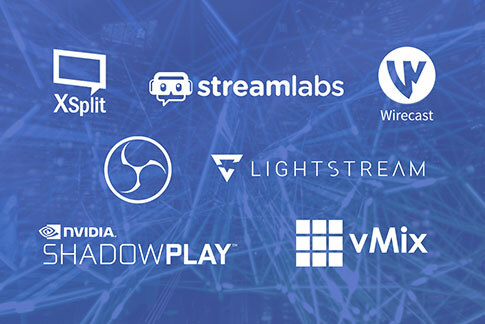 With Wirecast, you can stream multiple live cameras and other real-time inputs, like DVI or VGA inputs from another computer, while dynamically mixing in other disk-based media like movies, images, and sounds, while adding production features like transitions and titles. 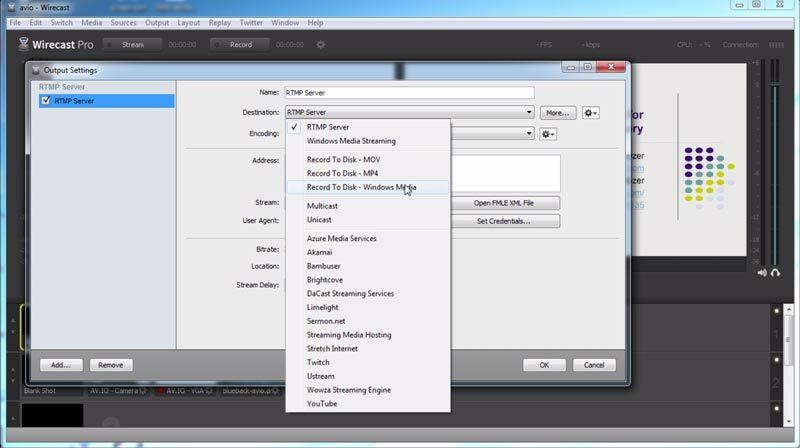 During your event, you can stream live to any RTMP or Windows Media server—or both—with presets for many popular CDNs and live streaming services (Figure 3, below). 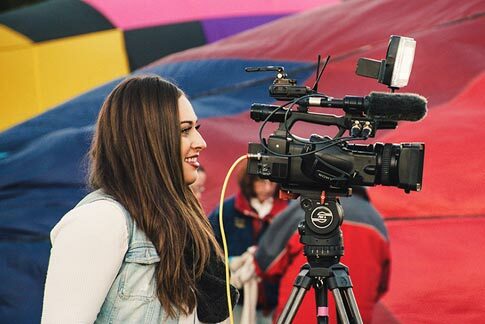 You can also record a copy of your event to disk for archival or further production. 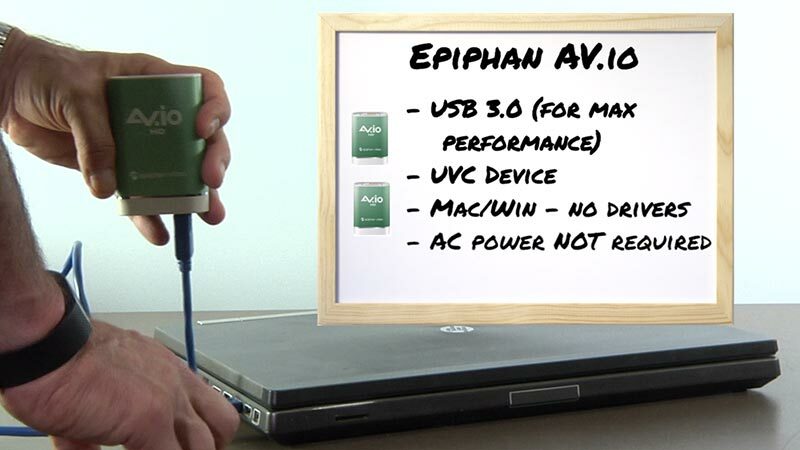 The Epiphan AV.io HD video grabbers (Figure 4, below) connect to your computer via USB. 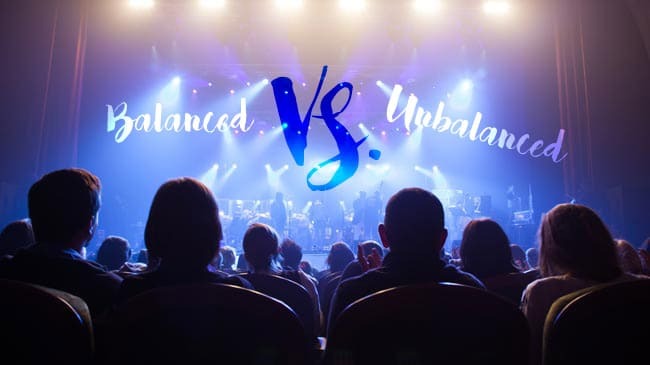 While the units are backwards-compatible with USB 2.0 ports, you’ll need USB 3.0 ports for maximum performance. 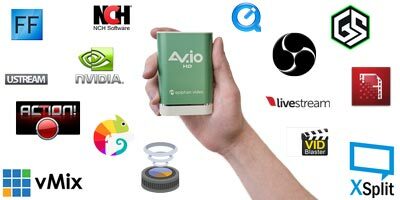 AV.io HD is a USB video class device, also called UVC. This means that it installs on Mac and Windows computers without drivers of any kind. Just plug the unit into your serial port and you should be ready to go; separate AC power is not required. AV.io HD comes with cables and connectors that let you capture from three sources: HDMI, including audio; DVI; and VGA. 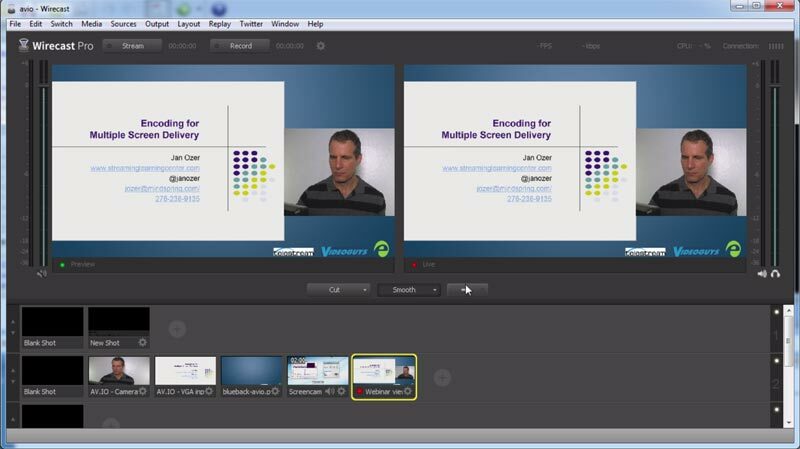 In operation, the AV.io HD units transfer uncompressed video to Wirecast at whatever resolution you configure. In the configuration shown in Figure 5 (below), I’ve got one AV.io HD inputting the VGA output from a notebook, the other video from a camcorder. One very cool Wirecast feature is the ability to mix the two streams into a separate shot that I can switch to during the production (Figure 6, below). You create the shot by choosing Add New Shot (Figure 7, below). Then you double-click the shot to load it into the Shot Editor window. Then you choose a template to get started (Figure 8, below). 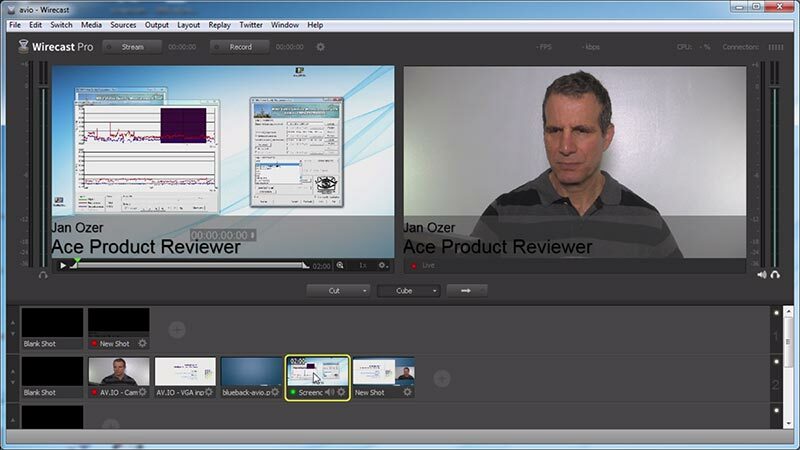 In the Shot Editor, click each shot (A and B), and then the video to assign the video to the shot. 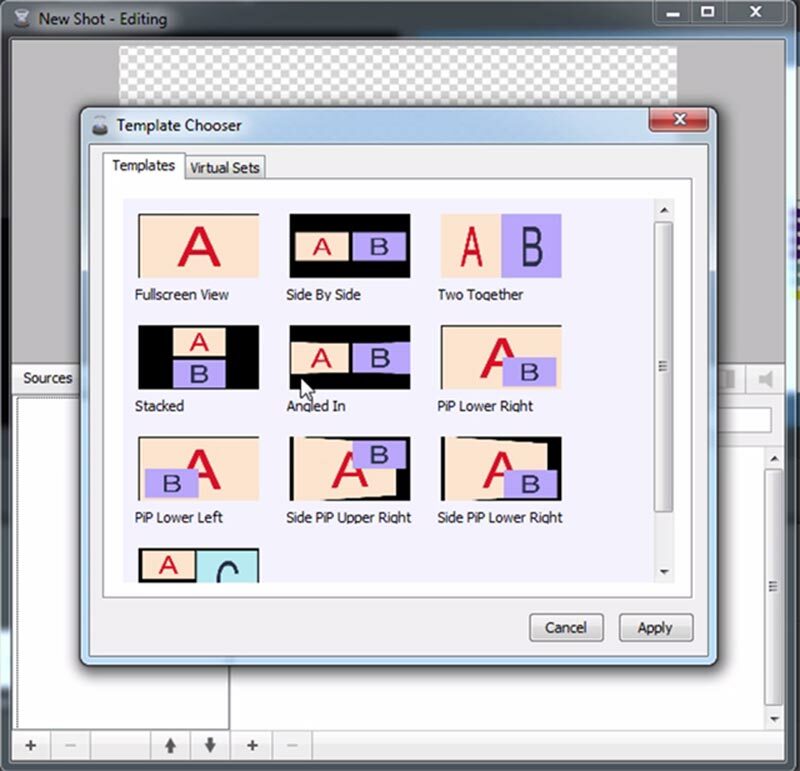 Then click the icon indicated in Figure 9 (below) to resize the videos. 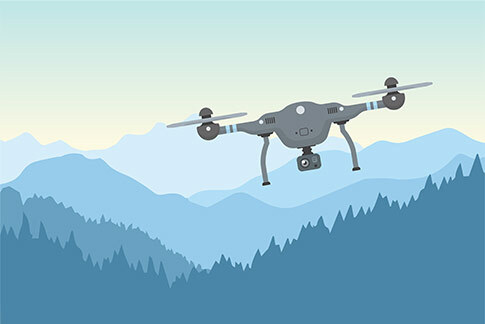 In this project, I’ll make Shot A larger than Shot B by pressing the Alt-key and dragging with my mouse and adjusting the PowerPoint and the talking-head video in turn. You can also crop the sides of the shots by clicking the familiar crop icon. 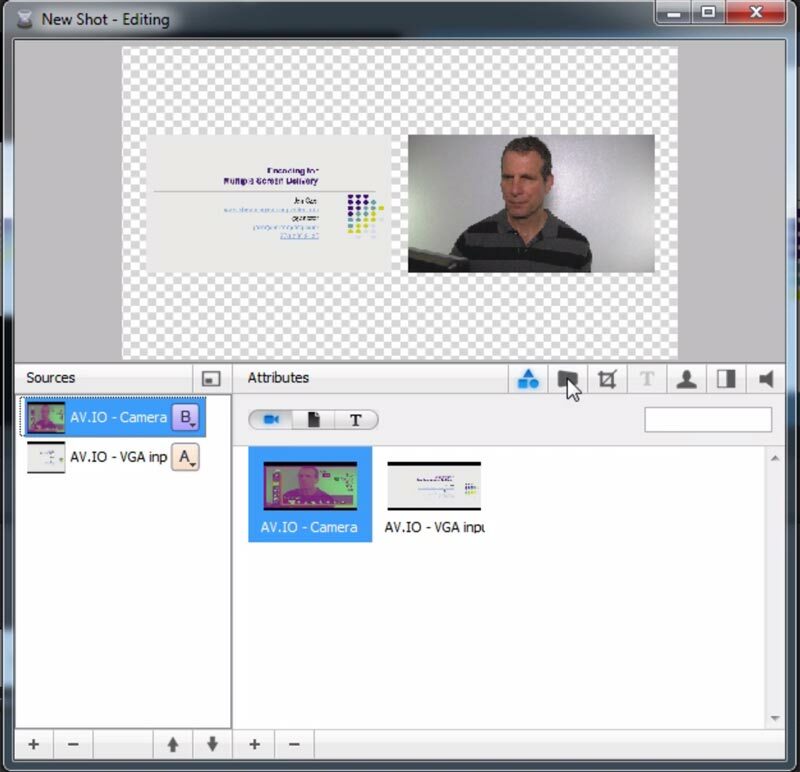 You can even import a still image to insert into the background. Once the composite shot is created, you deploy it in your program just like any other (Figure 10, below). 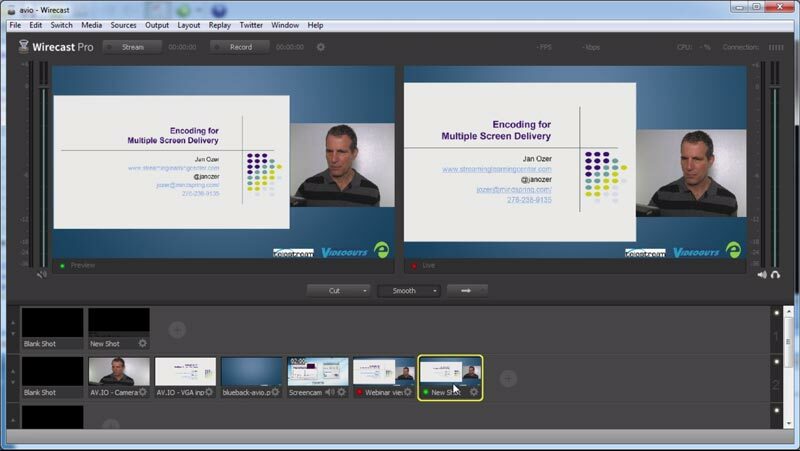 Note that Telestream makes it easy to use Wirecast on multiple computers. 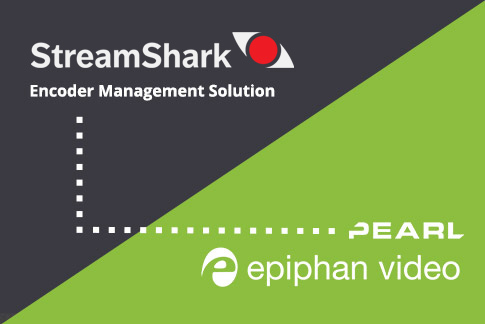 You can download the demo version, and when it’s time to go live, delete the serial number from one system and enter it into the demo system to take it live. Combined with the inherent portability of the AV.io HD units, you’ve got the ability to broadcast from any system in your office with USB 3.0 ports. Or, since the bundle is so inexpensive, you can just buy multiple copies. 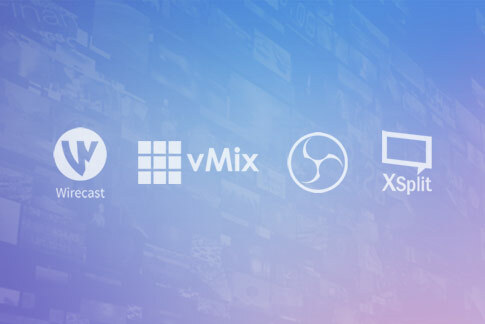 If you’re looking for a portable and affordable way to add live streaming capabilities to one or more computers in your office, the Wirecast AV.io HD bundle is a great option.